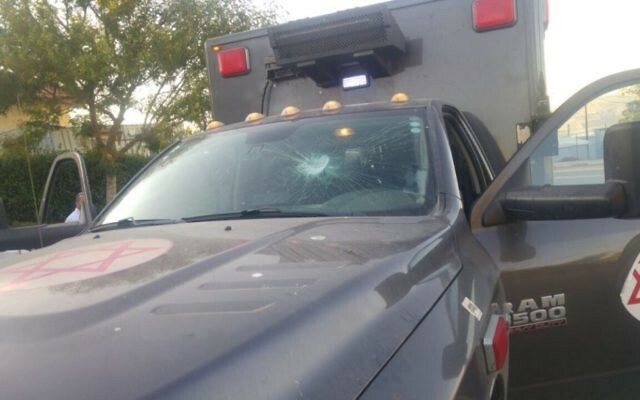 Police in the West Bank arrested two minors late Tuesday night for throwing rocks at an ambulance in the settlement of Yitzhar earlier this month. 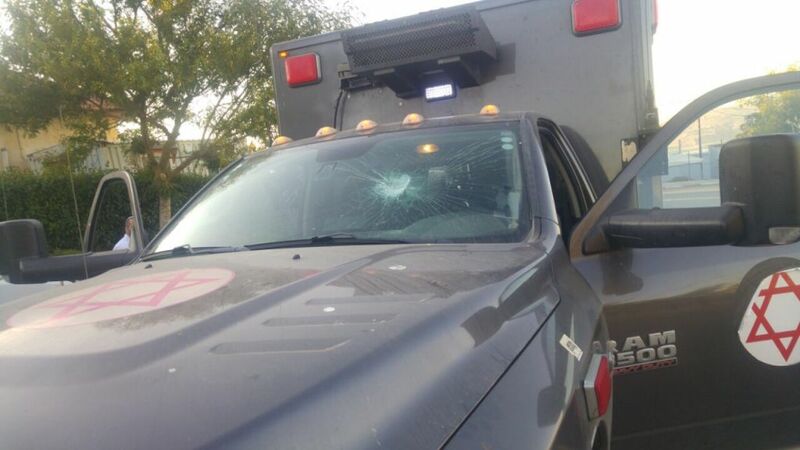 Along with the pair, a third minor was arrested for throwing rocks at security forces in the same northern West Bank settlement this week. The three — residents of Yitzhar, Jerusalem, and Ofra — were to be brought to the Jerusalem Magistrate’s Court for a hearing on Wednesday. Yitzhar features prominently in the public perception of extremist “hilltop youth” — young people from religiously observant families who move to settlement outposts and resist soldiers’ attempts to evacuate them. Some of them have been accused in “price tag” hate crime attacks on Palestinian, Christian and Israeli targets. Tensions between security forces and locals have ramped up in recent weeks over IDF orders banning extreme right-wing activists from the West Bank. 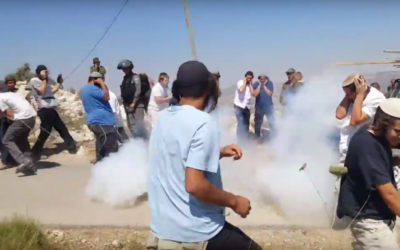 On Sunday, the IDF arrested three people during clashes surrounding the demolition of an illegal structure in Yitzhar. According to an army spokesperson, residents pelted soldiers carrying out the demolition with stones and blocked roads used by IDF troops during the operation. Settlers also accosted and harassed soldiers, the spokesperson said, adding that those arrested were handed over to police for questioning. 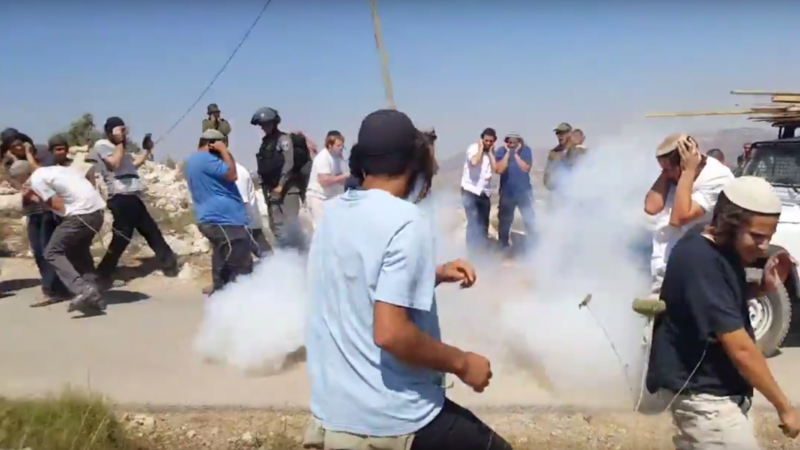 Following Sunday’s clashes, the Yitzhar leadership denied that residents acted violently toward soldiers, and accused the army of seeking to stoke tensions. “[To our] great sorrow after two years of calm in which excellent relations were built between the settlement and the [regional IDF] Samaria Brigade, there is someone seeking to set the ground alight and produce, at any cost, pictures of a clash between Yitzhar settlers and soldiers,” the settlement’s leaders said in a statement.